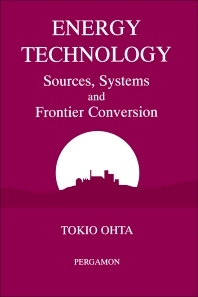 This book provides a concise and technical overview of energy technology: the sources of energy, energy systems and frontier conversion. As well as serving as a basic reference book for professional scientists and students of energy, it is intended for scientists and policy makers in other disciplines (including practising engineers, biologists, physicists, economists and managers in energy related industries) who need an up-to-date and authoritative guide to the field of energy technology. Energy systems and their elemental technologies are introduced and evaluated from the view points of efficiency and the global environment. Principles of effective conversion are explained with the use of irreversible thermodynamics and exergy. Advanced converters, catalysts, fuel cells, membranes, metalhydrides, refrigerators, M.H.D., solar cells, superconductivity and water decompositers are among the main subjects introduced. For energy engineers in industry and academia and senior undergraduate and graduate students. Preface. Energy and Its Resources. Energy. Classification of energy. Energy resources. Concept of life cycle model. Natural energy. Energy Conversion. Matrix of energy conversions. Quasi static process. Thermoelectric type conversions. Dynamic conversion. Photon energy conversions. Evaluation of Energy. Exergy. Cost evaluation. Energy Systems. Energy transfer system. Examples of energy systems. Energy Storage. Energy transport. Frontier Energy Conversions. General survey. Entropy reduction systems. Entropy production minimum systems. Innovation of systems. Appendices. Nomenclature and units. Physical constants. SI base and SI derived units. Conversion of energy units (A). Conversion of energy units (B). Energy consumption of some manufacturing industries. References. Indices. 10 illus., 90 line drawings, 50 lit. refs.